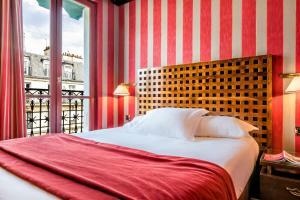 Situated on Paris' Left Bank, in the heart of the lively and historic district of Saint-Germain-des-Prés, Villa Panthéon features an accommodation, a 4-minute walk from Panthéon and 8-minute walk from Notre-Dame Cathedral. Guests will enjoy high speed WiFi throughout the hotel. 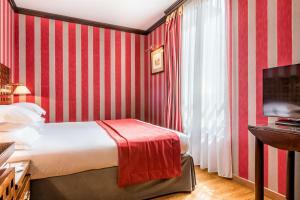 Offering wooden furniture and Chesterfield sofas, this property is just a 10-minute walk from the Odéon Theatre as well as Rue Mouffetard and the Arabic World Institute. 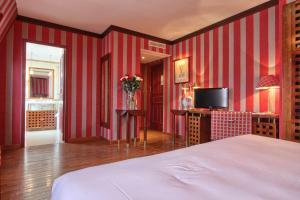 Guestrooms are composed of exotic wooden floors, leather armchairs and a cosy décor to ensure a pleasant and restful stay. 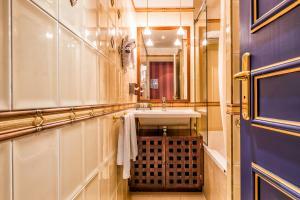 Rooms are equipped with modern en suite facilities. 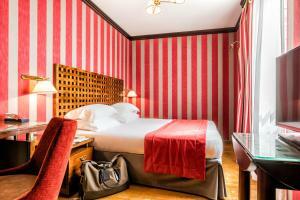 A flat-screen TV as well as a smartphone with unlimited data and international calls are provided. A breakfast is available each morning at Villa Panthéon. A Nespresso coffee machine is available in the breakfast room for guests to use. A variety of fine restaurants are within walking distance of the hotel, whilst the hotel's Bridge Bar with its summer terrace offers a large selection of whiskies and cocktails. 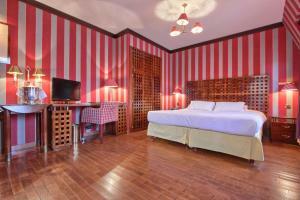 Decorated around the theme of Scotland, this air-conditioned room is provided with free WiFi, satellite TV and minibar. 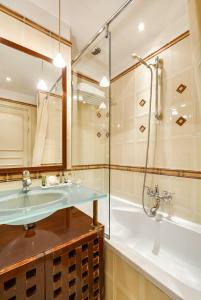 A heated towel rail, bath and shower are available in the bathroom. 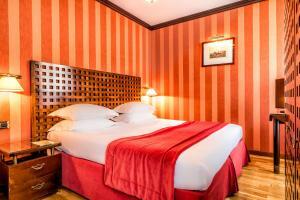 Rate: € 152.15 ... € 700.00; select dates below to get current rates. 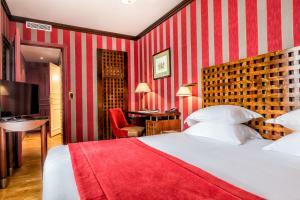 Decorated around the theme of Scotland, this air-conditioned room is provided with free WiFi, satellite TV and minibar. 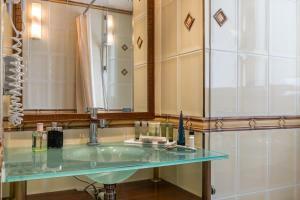 A heated towel rail, bath and shower are available in the bathroom. 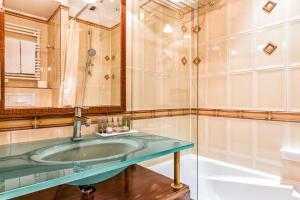 Extras include a bathrobe and more space. 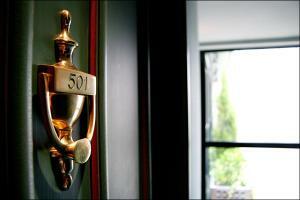 These connecting, air-conditioned rooms are provided with free Wi-Fi, satellite TV and minibar. 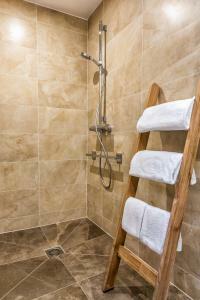 A heated towel rail, bath and shower are available in each room's bathroom. 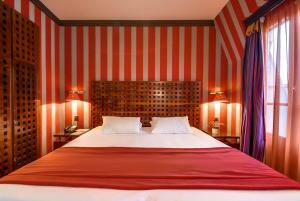 Rate: € 152.15 ... € 595.00; select dates below to get current rates.